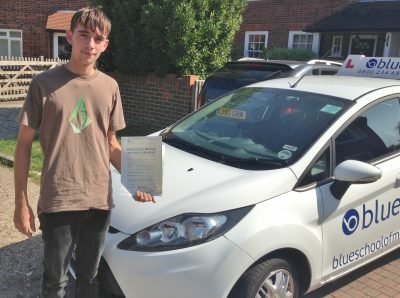 Learn to drive in Crowthorne with a local Crowthorne driving instructor will collect you for your first driving lesson, and will provide all of the relevant information concerning your training programme. This will cover all aspects of the teaching syllabus, including information about how and when to apply for your theory test. Driving Tests in the Crowthorne area are carried out at Farnborough or Reading DTC. You may also be asked to carry out an Emergency Stop, plus you will be asked to drive independently for about 10 minutes. Beginners, someone who has never driven a car before and wants to go through the basics of car control with a qualified driving instructor. Just started, a new leaner driver that maybe has had a few hours with Mum or Dad or maybe did not get on with their previous driving instructor and wants to try someone else. Partly trained, had maybe 10 to 15 hours of driving tuition with mum or dad or maybe an ADI and just wants to start again after a break. Trained, has had about 40 to 50 or more hours of driving tuition and maybe has failed a driving test in the past and needs a bit of help to get through the next driving test. We offer some great deals on a range of courses with qualified driving instructors who now the local Crowthorne area.